*Extended hours are available upon request. Early morning hours 7:30 - 9:30 AM are also available by appointment only. Walk-ins welcomed. Appointments strongly encouraged! Come enter the world of Coldness! 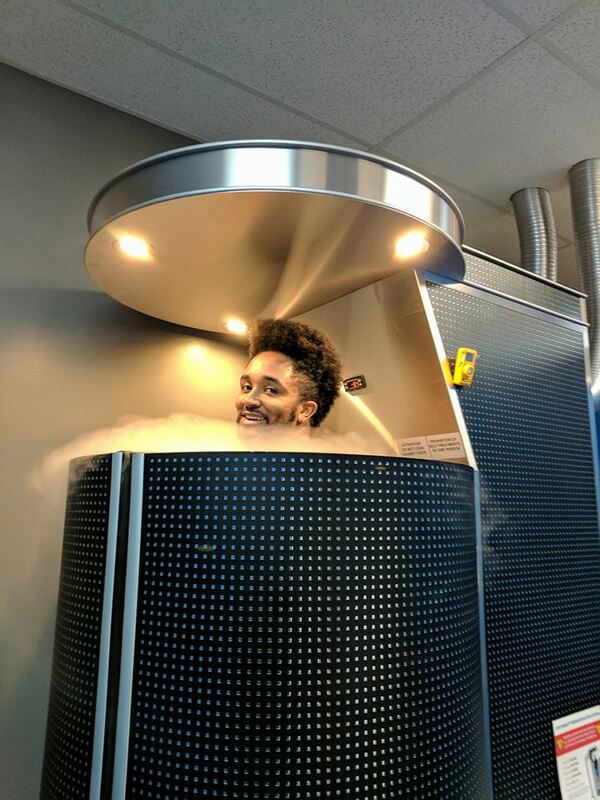 Cryotherapy was developed in 1978 in Japan. 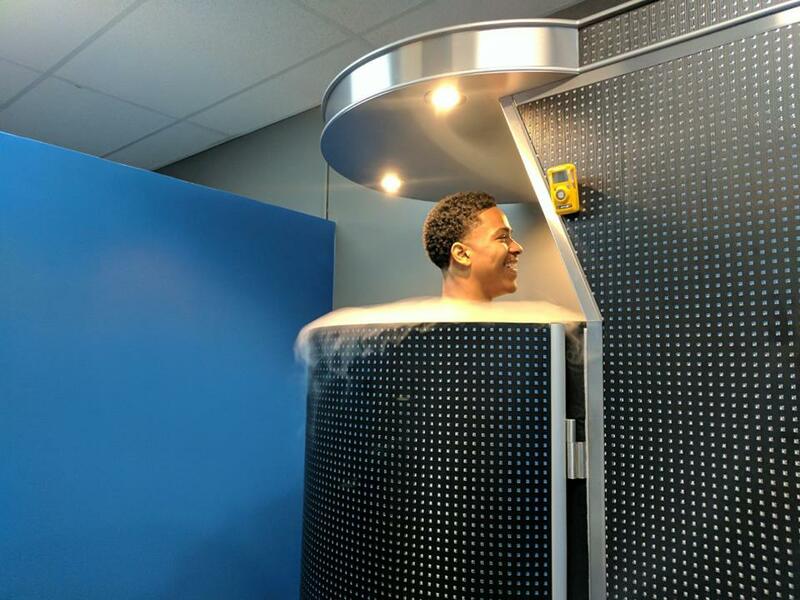 Cryotherapy is a procedure where clients enter the Cryosauna device at subzero temperatures that could reach temperatures up to -240 degrees Fahrenheit. The procedure last up to 3 minutes while breathing normal room air for the duration. 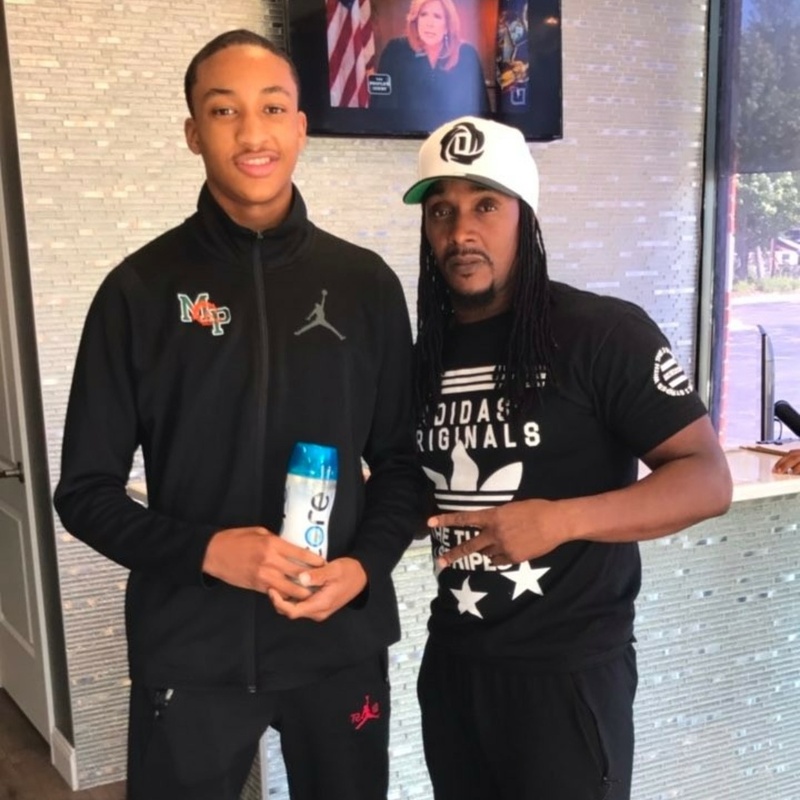 The client head and neck remains above the device which is never locked, therefore the process can be stopped at any time. 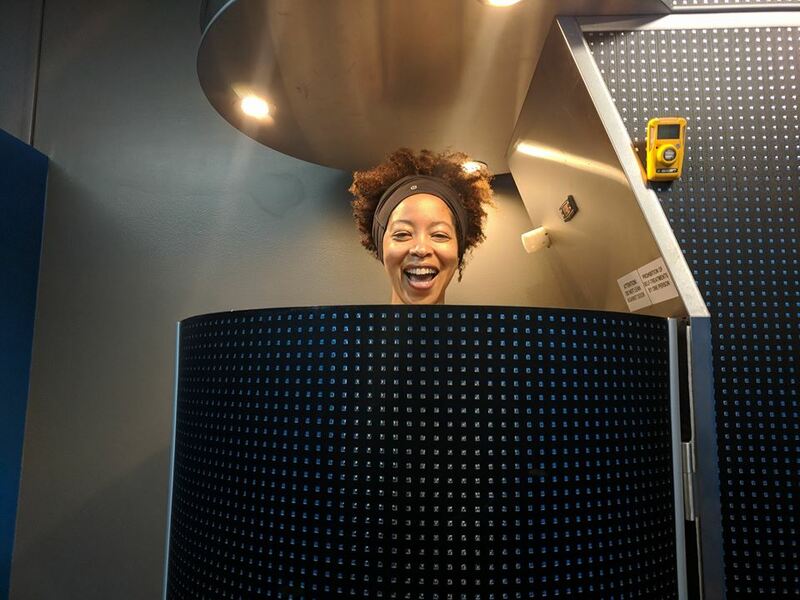 The Cryosauna is cooled by Liquid Nitrogen, in which clients are never exposed to the nitrogen, although Nitrogen is a non-toxic gas and is not dangerous to humans. 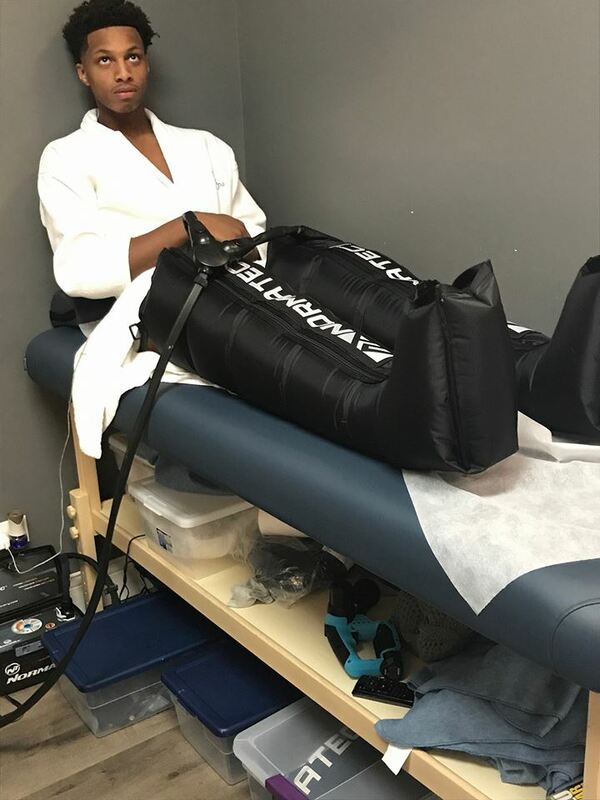 During the procedure, your body sends signals to the brain which assist in the release of endorphins to speed up recovery time, increase athletic performance, repair tissue, reduce inflammation and promote weight loss. All clients will be provided with a robe, dry socks, slippers, and a pair of gloves before entering the sauna. All articles of clothing must be dry and no jewelry or metal is allowed in the machine. 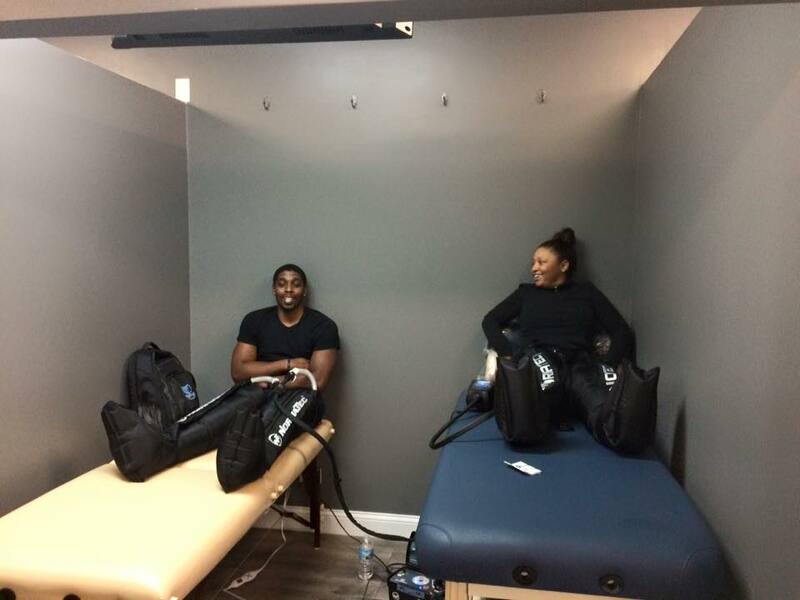 Cryotherapy has many benefits and provides an overall sense of wellness. 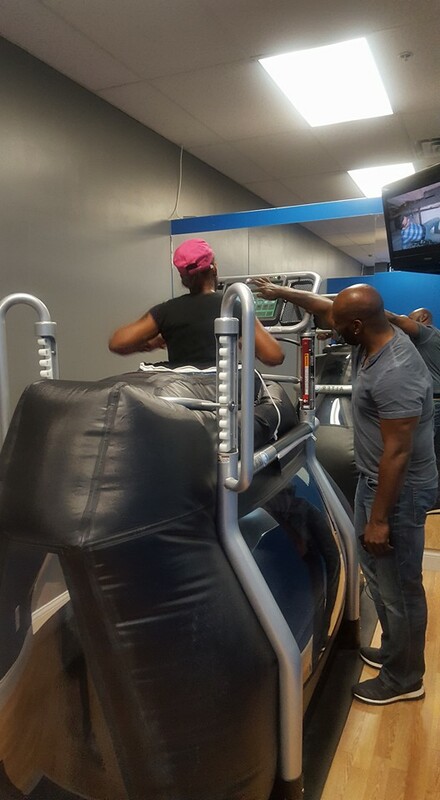 Stop in and exercise on the Alter G Treadmill. 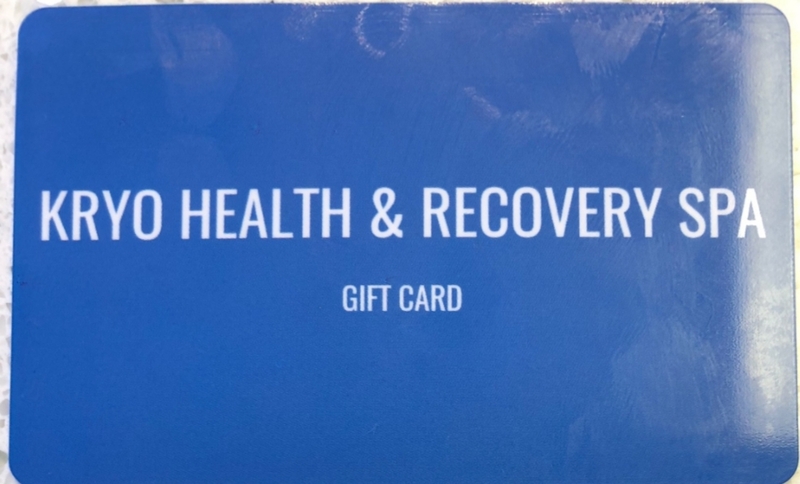 During your visit, you will benefit from using this unweighted device in order to speed up recovery. 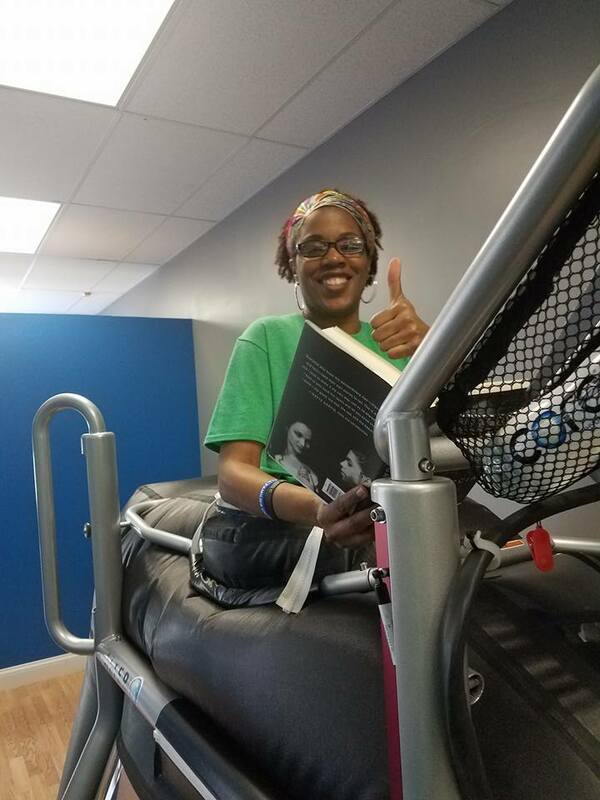 The Anti-Gravity Treadmill is ideal for clients who are recovering from problems with their lower extremities, such as legs, hips, and lower back. 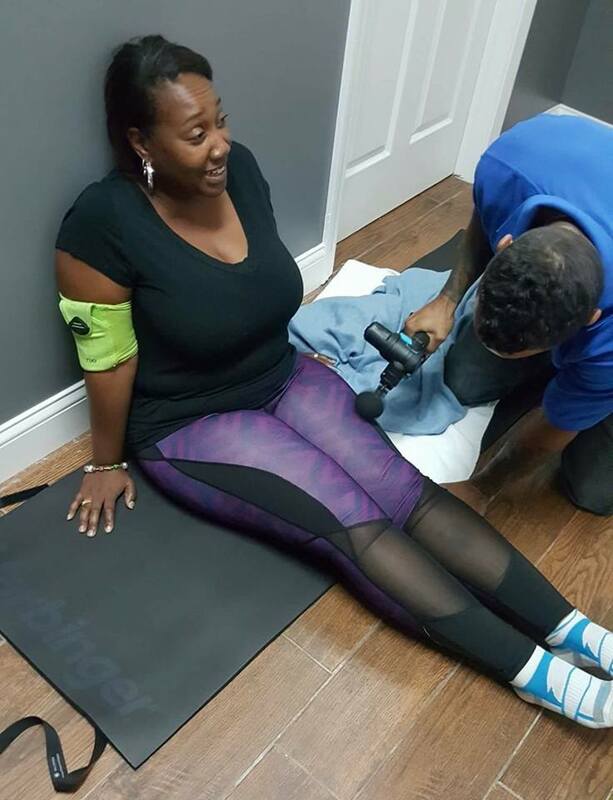 The Alter G allows clients the ability to rehabilitate with less pain while reducing their risk of further injury. 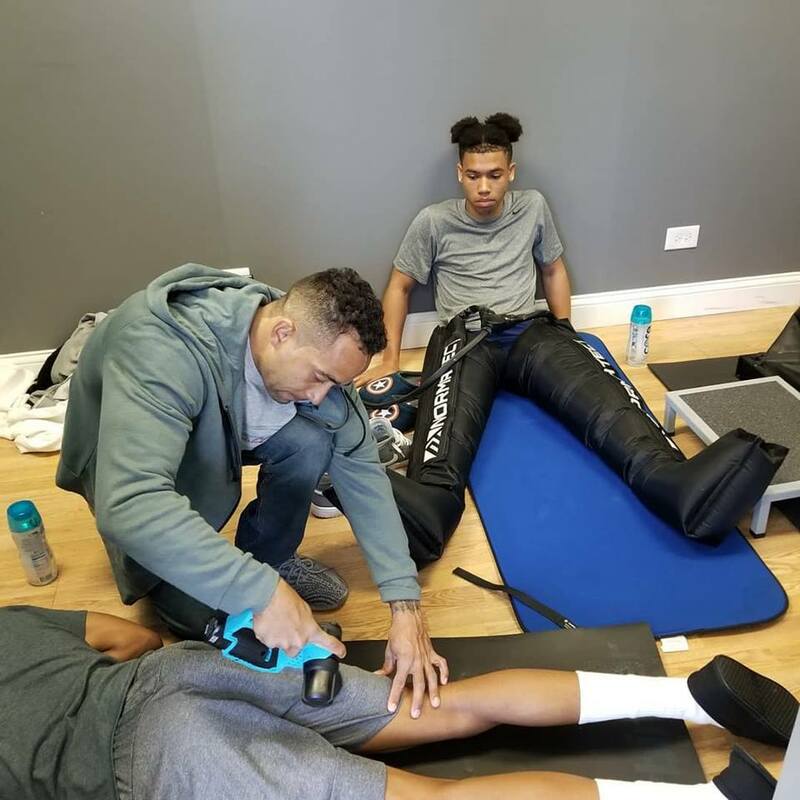 The Alter G Treadmill usually is used by clients who are looking to regain their mobility, increase their range of motion without using their full weight, endure natural movement, and assist with strength and fitness, in order to speed up recovery. 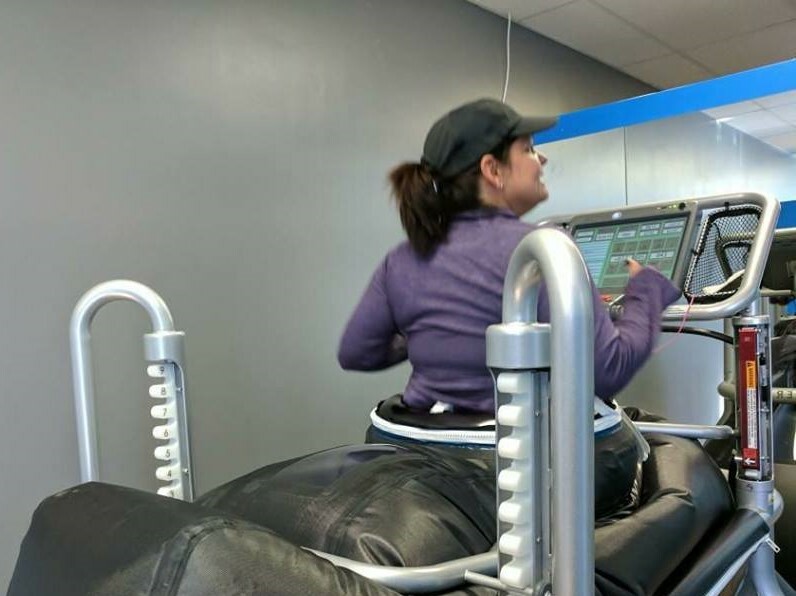 The Alter G allows an individual to walk or run while maintaining a normal gait, due to it being non-weighted. 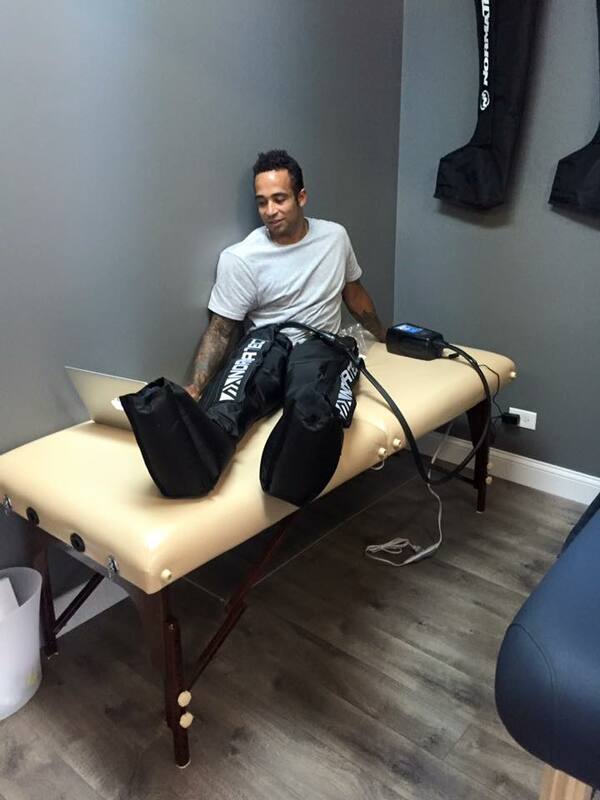 Normatec Recovery machines are used to speed up recovery by enhancing blood flow. 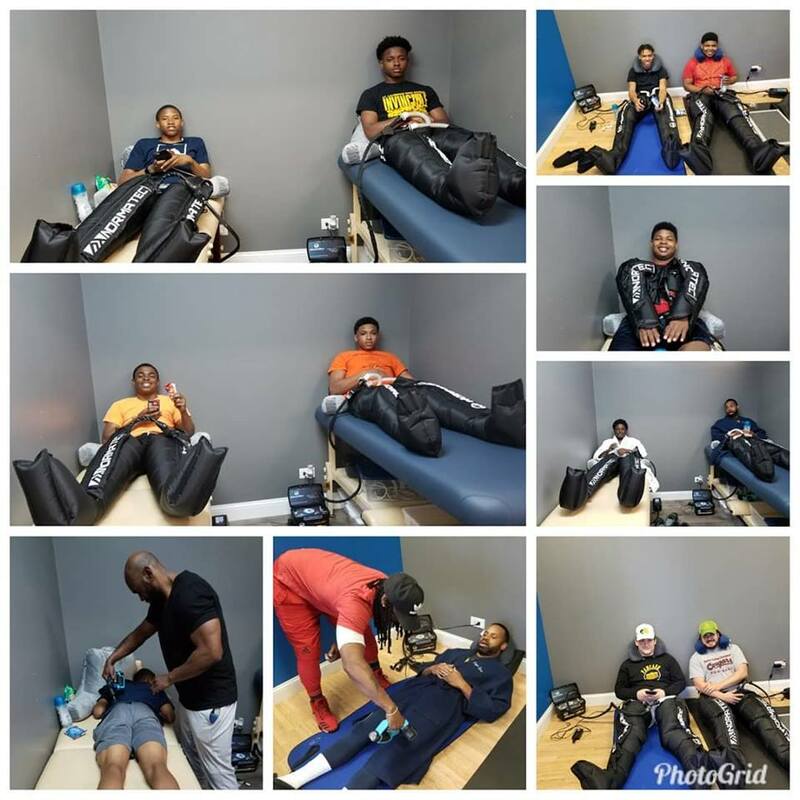 The machine uses compressed air to soothe the client limbs, mobilize fluids and assist with the recovery process, particularily with the lower body. 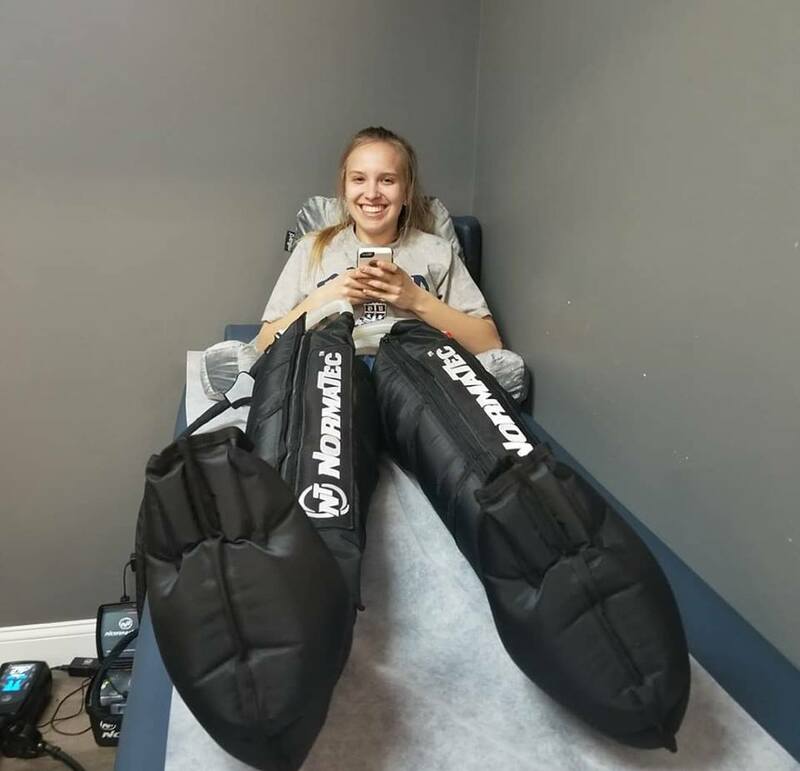 The pulse technology used with the Normatec Recovery machines combines pulsing, gradients and distal releases, which assist with a speedy recovery time. 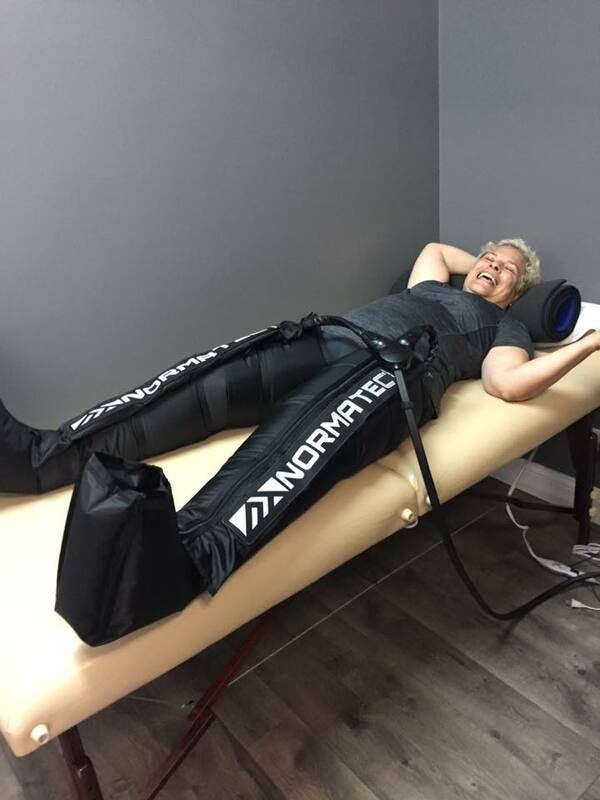 Normatec is especially useful for athletes and those that needs assistance with the recovery for lower body extremities. 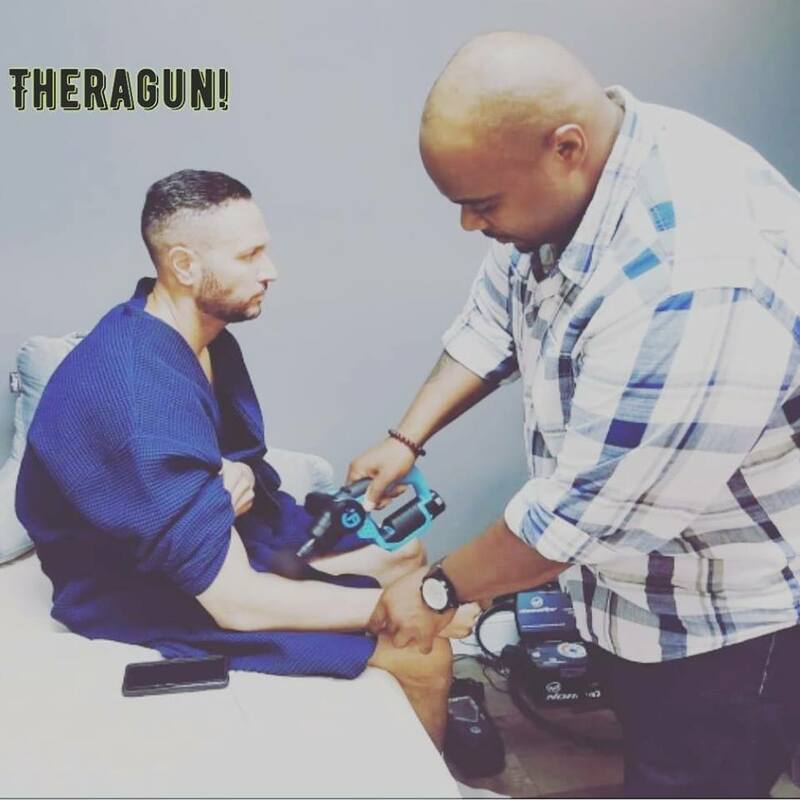 TheraGun is a battery operated device which is used to assist in healing of clients and also for athletes to use on themselves after training. 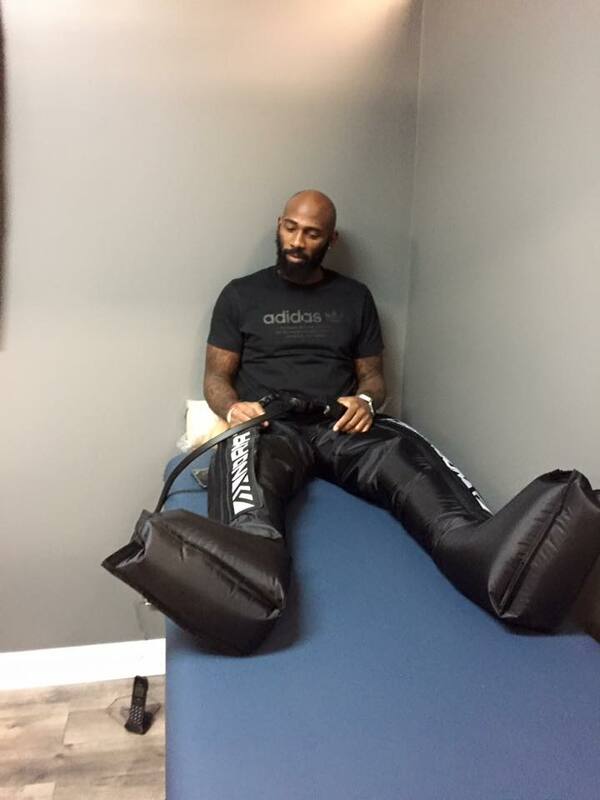 The TheraGun increases blood flow, decreases lactic acid and interrupt the pain cycle. 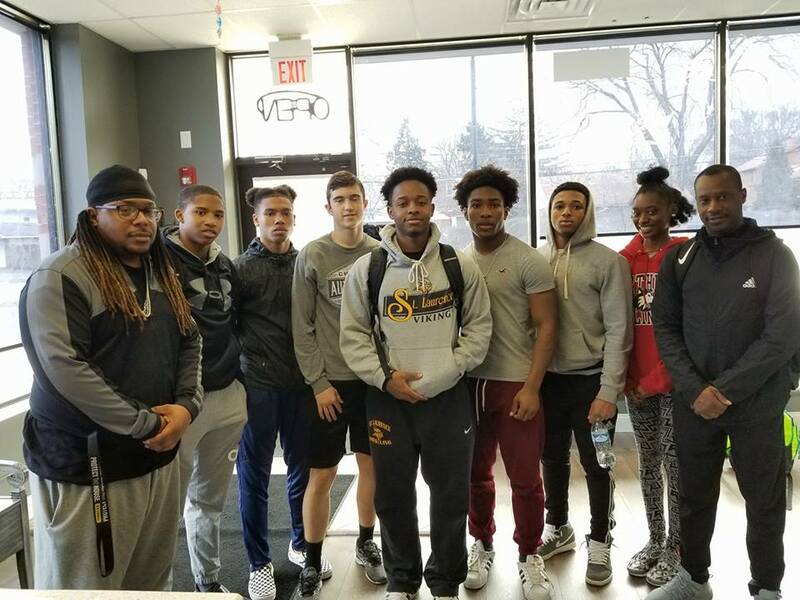 Please call (708) 991-2300 or click below to schedule appointments. 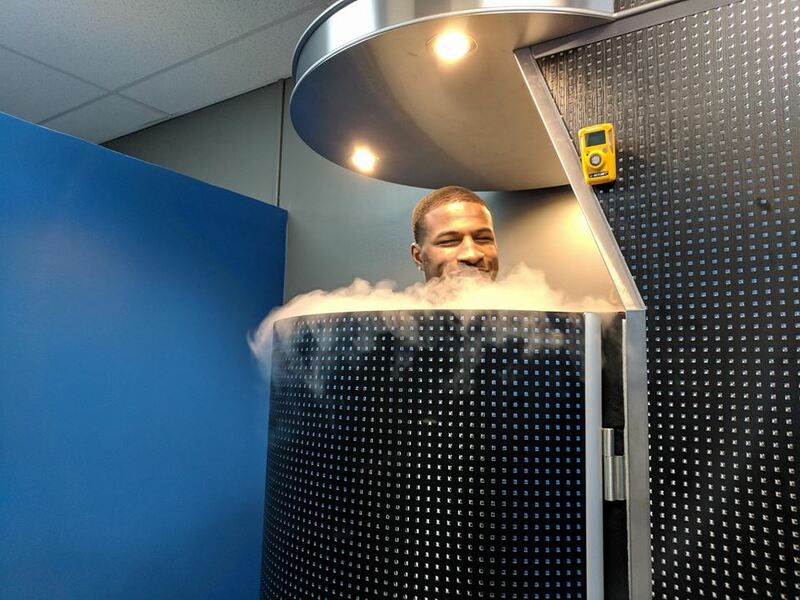 When was Cryotherapy technology developed? 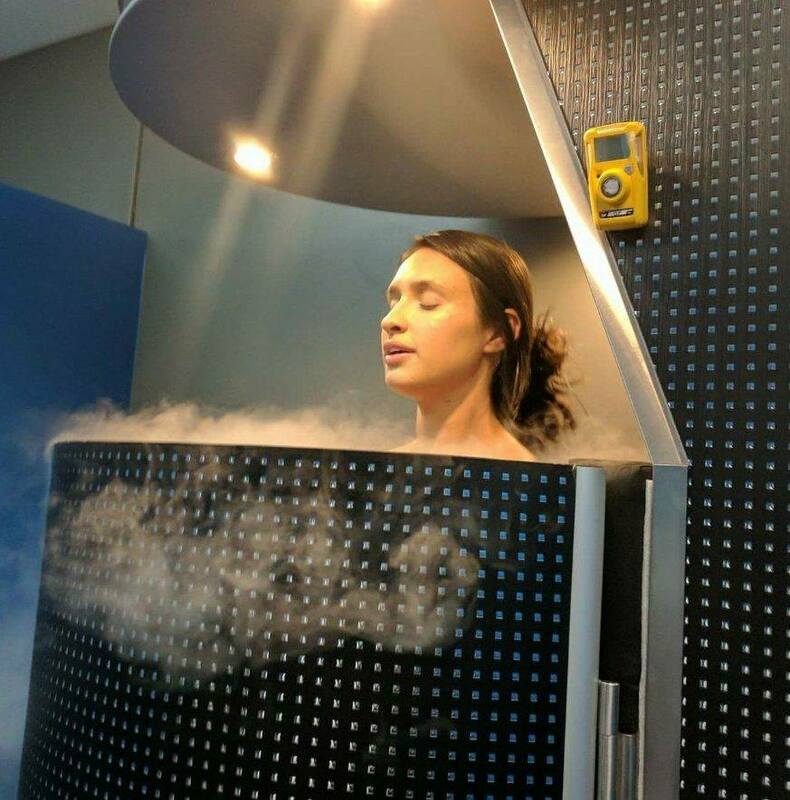 Whole Body Cryotherapy was developed in 1978, in Japan. Throughout the years, various studies have been conducted and studied across Europe since it was developed. 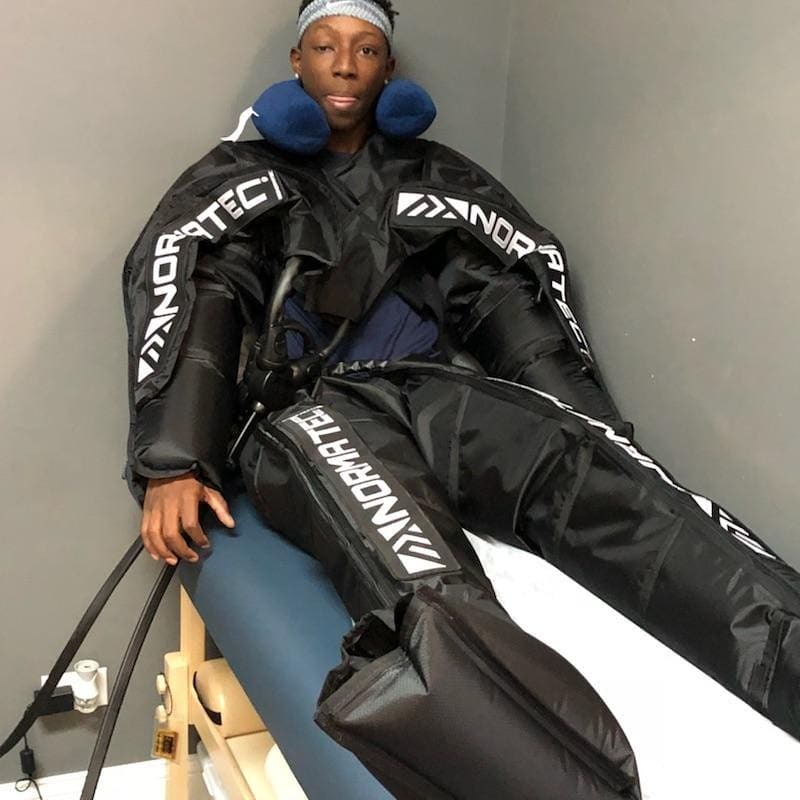 What do I wear during the Cryotherapy process? 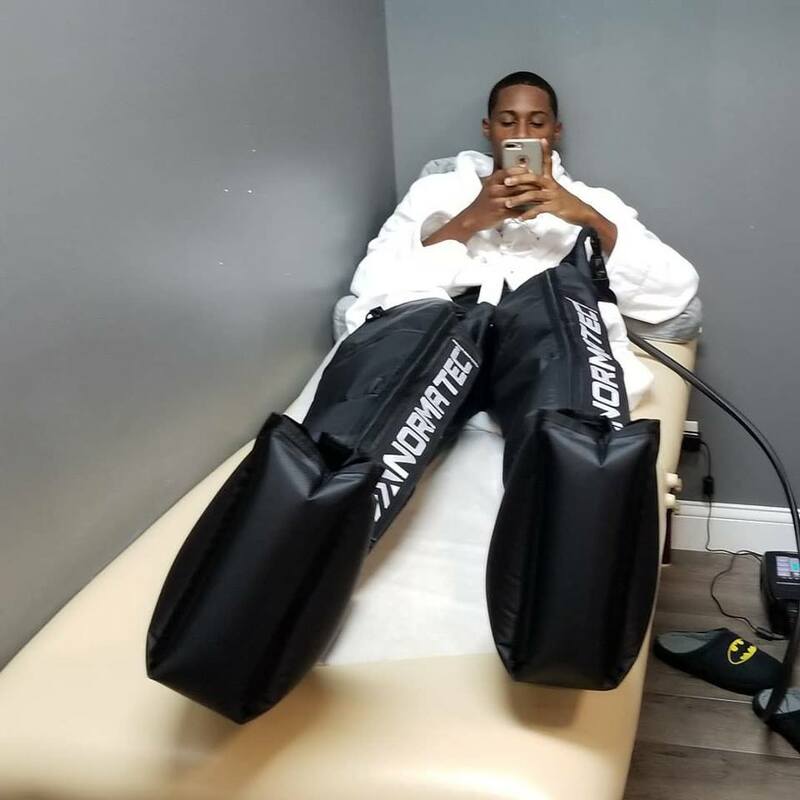 During the Cryotherapy process, clients before entering the machine, they are required to wear a robe (which is removed once you enter the Cryosauna and before the procedure starts), dry cotton socks, dry cotton gloves, slippers, and Underwear (bottoms). It is recommended that no jewelry or metals are worn during the procedure. 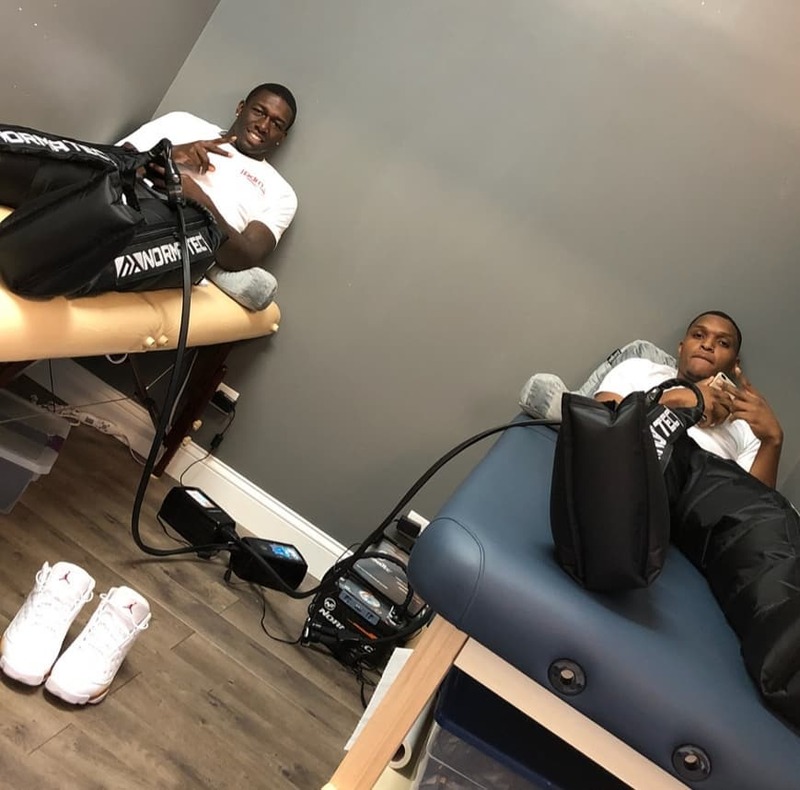 What is the Cryosauna device? 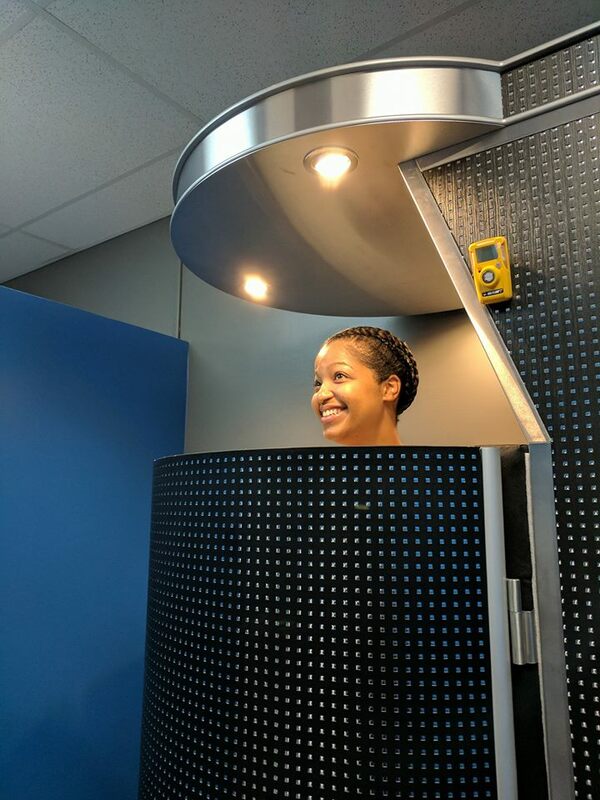 The Cryosauna is a single person device in which clients enter the machine while keeping the head and neck area exposed to room air above the device. 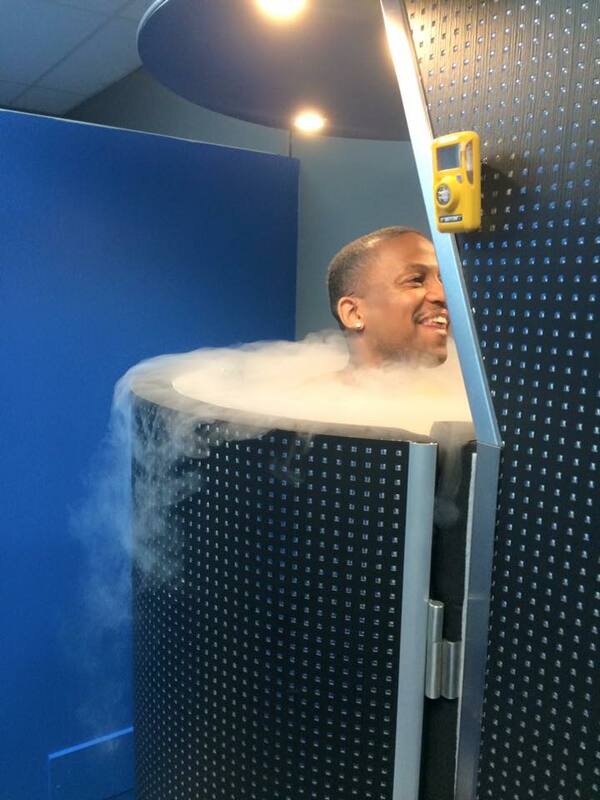 The device will reach cold temperatures of about -240 degree Fahrenheit. The device is equipped with numerous safety features. 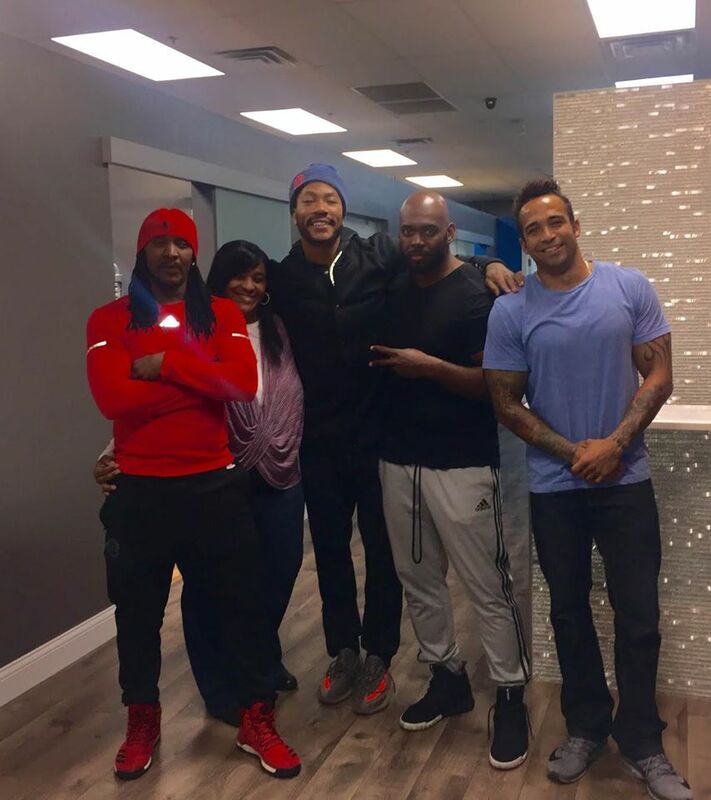 Also, the doors are never locked while inside the Cryosauna, which allows clients to stop treatment at any given time. 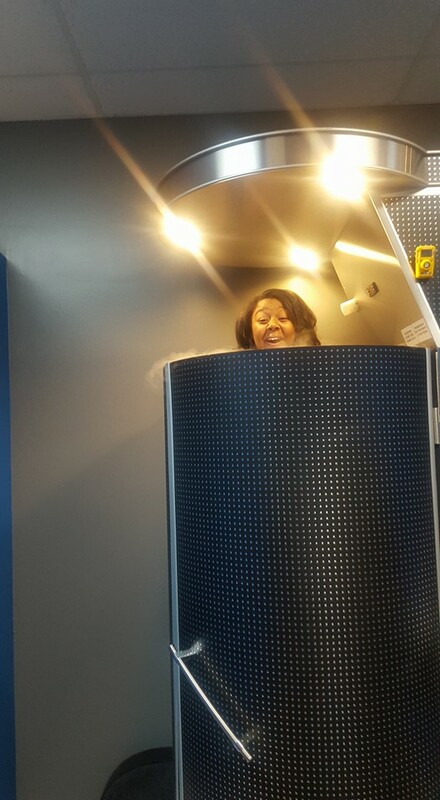 How does the Cryotherapy procedure work? 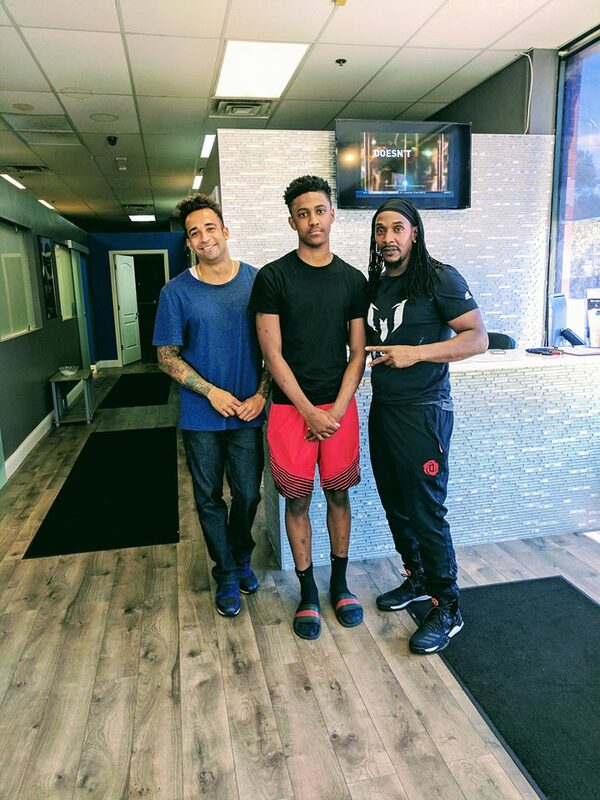 During the process, the clients are in the sauna for a total of three minutes. The sauna uses nitrogen in order to reach the cold temperatures needed to activate the sauna. 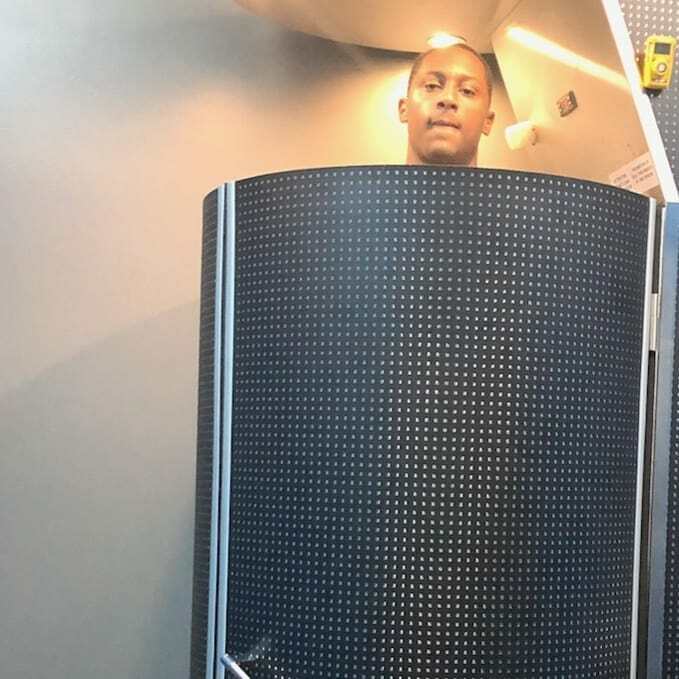 When the clients enter the cryosauna they will be raised up and the head and neck area will always be above the device. 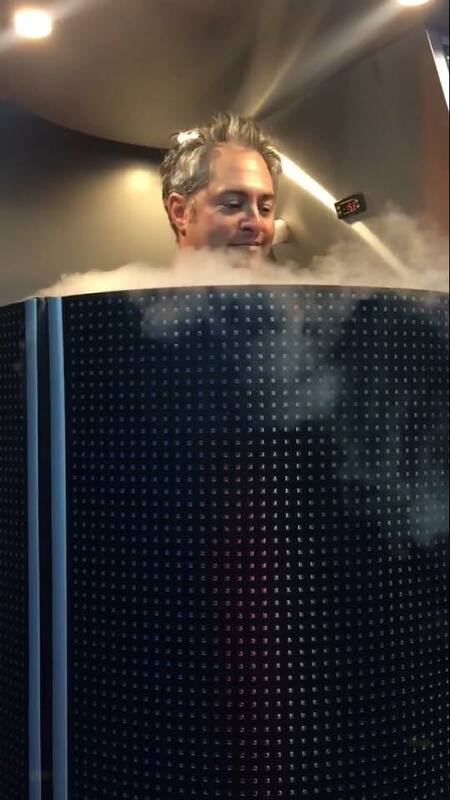 During those three minutes, clients will be exposed to sub-zero temperatures where the cold stimulates skin receptors while activating the central nervous system. 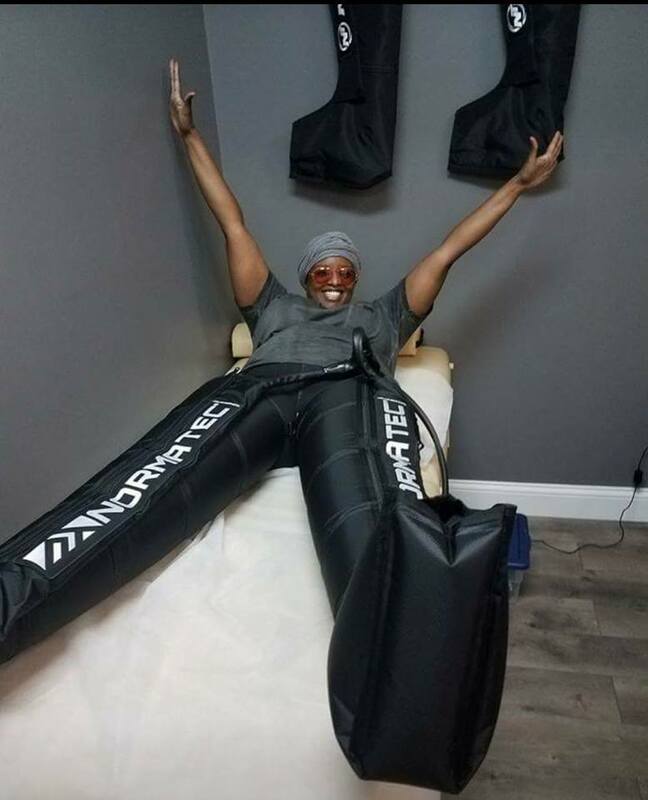 The process causes the release of endorphins which assist in relieving soreness, muscle pains, metabolism, reduces stress and anxiety, while feeling an overall sense of well being. Liquid Nitrogen is a non-toxic gas, therefore it does not pose a danger to Humans. The clients will breathe normal room air at all times while in the Sauna. The air we breathe on a daily, consist of 78% nitrogen, 21% oxygen, and 1% other gases, including carbon dioxide. Do clients sign and review safety waivers before entering the machine? 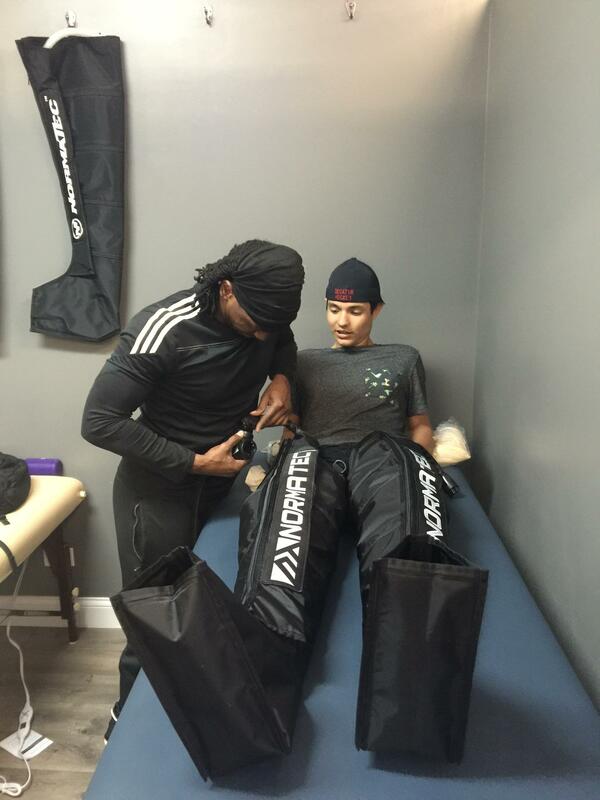 Yes, all clients are required to read, review and sign safety instructions and waiver before entering the machine. 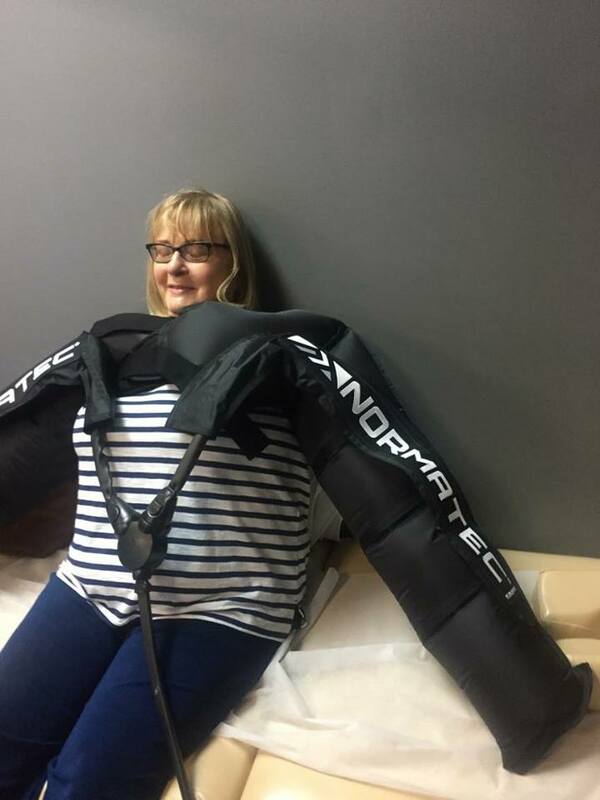 The risks are low, however some may experience fluctuations in their blood pressure which usually reverses after the end of the session, claustrophobia (even though the neck and head is not enclosed), skin sensitivity and irritation due to cold temperatures. 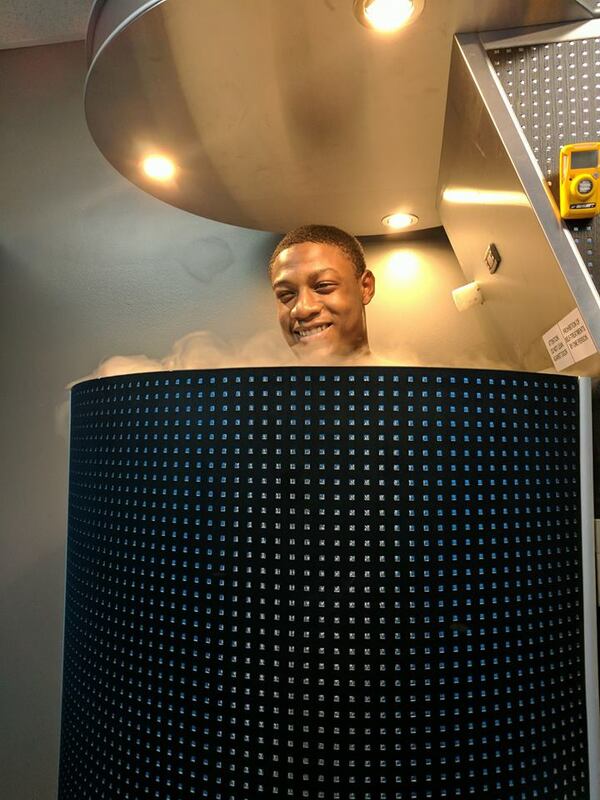 Can I use insurance for the Cryotherapy procedure? 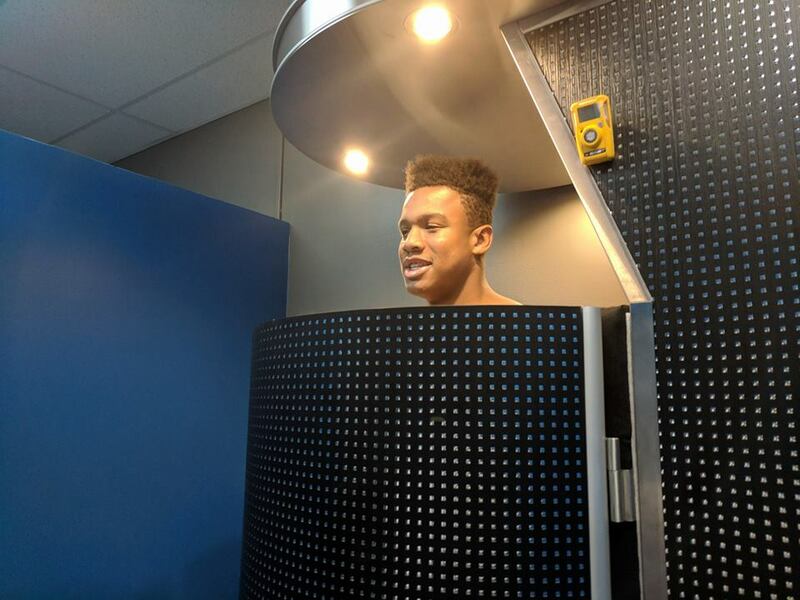 Are there age requirements for Cryotherapy? 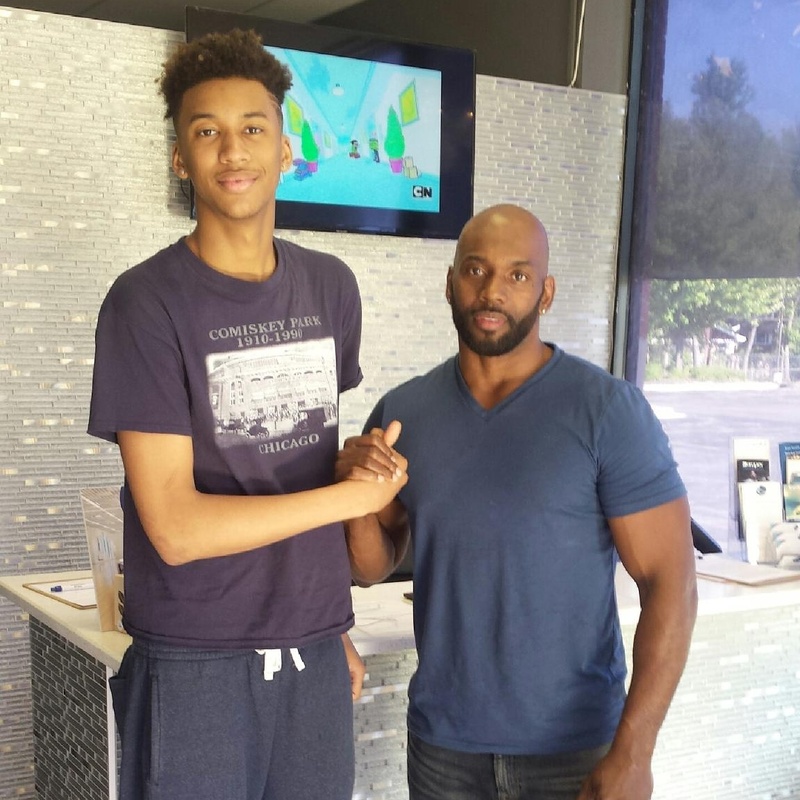 Clients under the age of 18, must have a signed parent consent before entering the Cryosauna Machine. 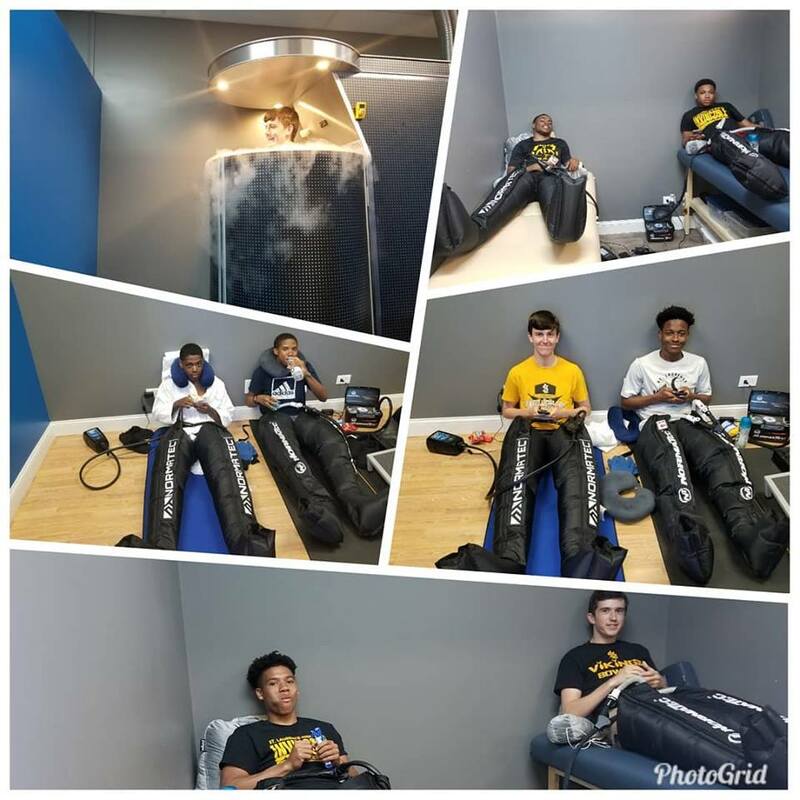 Clients under 14, CANNOT use the Cryotherapy Sauna. 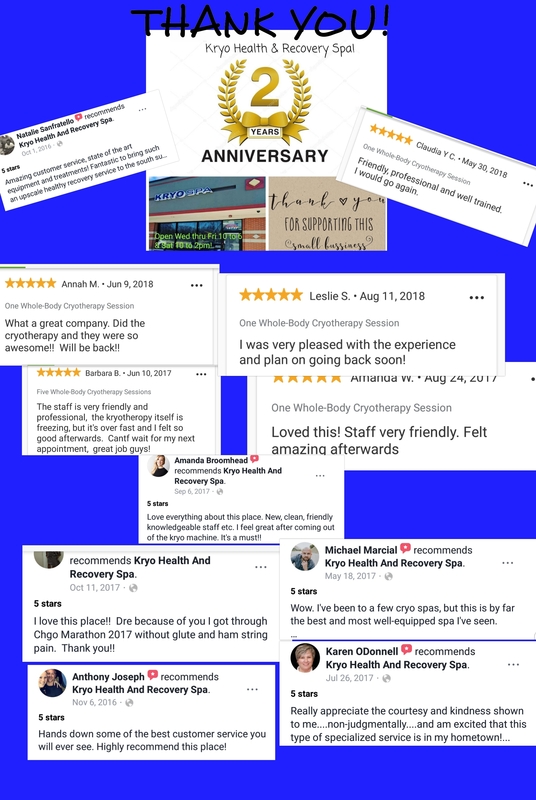 There are some contraindications to using the Whole Body Cryotherapy: Pregnancy, severe Hypertension (BP> 180/100), clients with any heart problems, uncontrolled seizures, severe Raynaud’s Syndrome, fever, bleeding disorders, severe anemia, infection, and cold-allergies. Children under 18 must have parental consent and have a parent present during treatment. 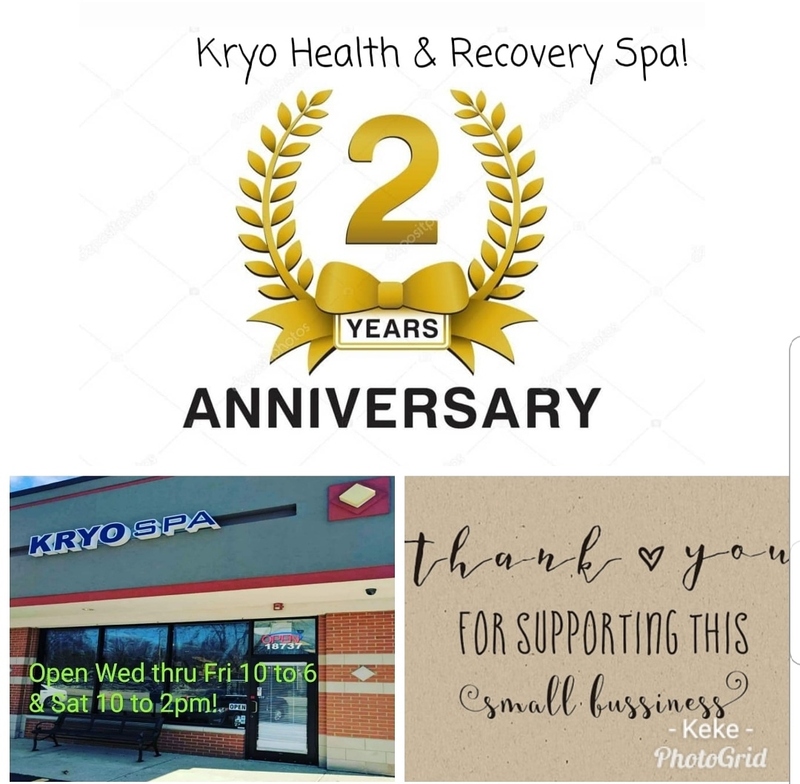 No one under 14 can use the Cryotherapy Sauna at Kryo Health & Recovery Spa.